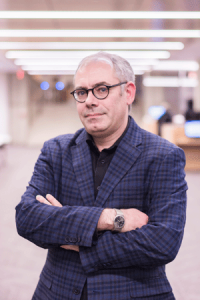 Kurt Munson, Assistant Head of Access Services at Northwestern University Library was selected as the 2018 winner of the Sharing and Transforming Resources Section’s (STARS) Virginia Boucher Distinguished ILL (Interlibrary Loan) Librarian Award, sponsored by OCLC. The award consists of $2,000 and a citation, which recognizes an individual for outstanding professional achievement, leadership, and contributions to interlibrary loan and document delivery through recent publication of significant professional literature, participation in professional associations, and/or innovative approaches to practice in individual libraries. Munson works with numerous vendors and development partners to improve automation and interoperability of resource sharing systems, often representing the 15 academic libraries within the Big Ten Academic Alliance (BTAA). Since 2012 he has served as one of two BTAA representatives on the Relais D2D User group and as the primary support person for UBorrow Addons and configuration. Because of his assistance with development, testing, and implementation, these Addons have successfully processed more than 290,000 BTAA consortial borrowing requests to date. He was especially instrumental in testing the Relais FindItem web services and the related ILLiad Addon, which have substantially increased the number of UBorrow requests filled without staff mediation (from 65,547 in 2014 to 98,079 in 2017). Kurt was also selected to represent the BTAA on the first and second iteration of OCLC’s Tipasa advisory group, where he has worked tirelessly to articulate the resource sharing needs of large academic libraries and advocate for system development that meets those needs. Read more about Kurt in his “STARGazer” interview here. The selection committee includes: Mary Hollerich (Chair), Tina Baich, David K. Larsen, Lars Leon and Robin Moskal.